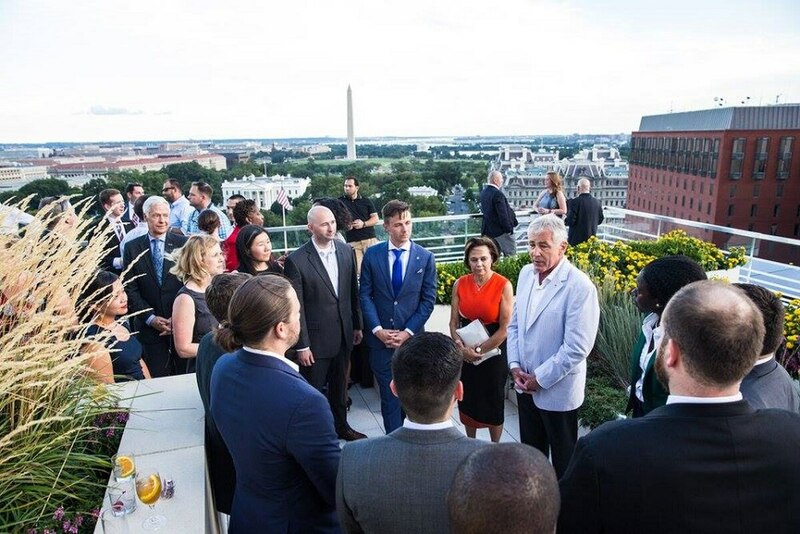 WASHINGTON — Capitol Hill advocates are hoping to help ready the next generation of national veterans leaders by having them learn from the current ones. Officials from HillVets this week announced a new mentorship program that will feature big names from the world of veterans and national security policy: former Defense Secretary Chuck Hagel; House Veterans’ Affairs Committee Chairman Phil Roe, R-Tenn.; former Air Force Secretary Deborah James; and former Army Secretary Patrick Murphy, among others. Group organizers in recent years have worked to increase the number of veterans working on Capitol Hill in a variety of policy and support roles. The new effort, they say, is the next step in that work, helping to find leaders from that group of professionals who can shift their focus to even broader policy and messaging work. HillVets has begun releasing the 2017 recipients of the HillVets 100 award. They will release one name every fifteen minutes on Twitter Wednesday and Thursday. The 12-week program, set to start in September, will feature 18 individuals “in defense, veterans affairs and communications” who will work closely with the mentors on their areas of expertise. HillVets founder Justin Brown said the goal is to provide guidance on ways to enact “smart, ethical public policy” that the participants have already begun advancing. Former Rear Adm. John Kirby, who served as assistant secretary of state for public affairs and will head up the program’s communications team, said he hopes the effort can help bridge the gap in how much the public understands veterans and military issues. “There’s a real need for more veterans in the media and communications world and for that world to better understand veterans and the sacrifices they and their families have made,” he said. Individuals interested in the program can apply through the HillVets website.